Łukasz Tomasz Żygadło (born 2 August 1979) is a Polish volleyball player, a member of Poland men's national volleyball team (247 presents in the national team) and Iranian club Sarmayeh Bank Tehran, a participant of the Olympic Games London 2012, gold medalist of the 2012 World League, silver medalist of the 2006 World Championship and the 2011 World Cup, bronze medalist of the 2011 World League and the 2011 European Championship, 2000 Polish Champion, 2012 and 2015 Italian Champion, two times 2016, 2017 Iranian Champion, two times winner of AVC Asian Club Championships. He is medalist of leagues: Polish, Greek, Italian, Iranian and Turkish. He is a multiple winner of the CEV Champions League and FIVB Volleyball Men's Club World Championship with the Italian club Trentino Volley. He is one of the most successful Polish volleyball players. The Poland national men's volleyball team is controlled by the Polski Związek Piłki Siatkowej (PZPS), which represents the country in international competitions and friendly matches. Poland is one of the world's strongest teams, it is the reigning World Champion since 2018 and is ranked fourth in the FIVB world ranking. As a player of Itas Diatec Trentino before a match in Piacenza. 'Łukasz Żygadło, Grzegorz Kosok, Michał Kubiak's block during the Poland - USA match at Spodek in Katowice. During the match at Spodek in Katowice (World League 2012). Łukasz Żygadło during the match at Spodek in Katowice (World League 2013). Łukasz Żygadło was born in Sulechów, Poland. He attended School of Sports Championship in Rzeszów. He graduated Częstochowa University of Technology with a master's degree in Management and Marketing. He is married to Agnieszka. He is an honorary resident of Trentino, Italy. He speaks Polish, Italian, English, Russian. He graduated in 2015 and receive diploma from Associazione Italiana Sommelier. He is a member of AIS in Italy. Sulechów is a town located within the Zielona Góra County, in Lubusz Voivodeship, western Poland. It is the administrative seat of the Gmina Sulechów. Established in the Middle Ages, the town features many historical monuments significant to the Polish Lubusz region. Rzeszów is the largest city in southeastern Poland and eighteenth in the whole country, with a population of 190,203. It is located on both sides of the Wisłok River in the heartland of the Sandomierz Basin. Rzeszów has been the capital of the Subcarpathian Voivodeship since 1 January 1999, and is also the seat of Rzeszów County. Częstochowa University of Technology is the largest and oldest institution of higher education in Częstochowa, Poland. All faculties of the University have the right to grant doctoral degrees, and three of them also offer PhD habilitation. He started his career in club Orion Sulechów. When he was 15, he moved to AZS Częstochowa. After graduation, he continued his career at the club from Częstochowa. Between 1997-2001, he won gold, silver and bronze medals in the Polish Championship and Polish Cup of 1998. Then he played for Polish clubs Nordea Czarni Radom and Skra Bełchatów. In the 2003/2004 season, he won the Polish Cup with his club, Polska Energia Sosnowiec. In 2004 he moved to Greece, to play for Panathinaikos Athens. With this club, he won the bronze medal of the Greek Championship. In the next season, 2005/2006, he played for Halkbank Ankara and won the bronze medal of the Turkish Championship. He was awarded the title of best setter of the Turkish League in 2006. In next the two seasons, he played for Polish club, ZAKSA Kędzierzyn-Koźle and Russian club Dinamo Kaliningrad. AZS Częstochowa is a Polish professional volleyball team, based in Częstochowa. The club has been played in PlusLiga in 1979–2017. 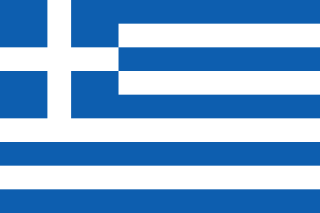 Greece, officially the Hellenic Republic, historically also known as Hellas, is a country located in Southern and Southeast Europe, with a population of approximately 11 million as of 2016. Athens is the nation's capital and largest city, followed by Thessaloniki. In 2008, Żygadło moved to an Italian club, Itas Diatec Trentino, where he played for four seasons. During his time playing in Italy, he won the gold medal at the CEV Champions League three times with his club (2008/2009, 2009/2010, 2010/2011) and the bronze medal in 2012. He was chosen as the best setter of Champions League 2010. He won three gold medals in the FIVB Volleyball Men's Club World Championship (2009, 2010, 2011). With the club from Trentino, he won three silver (2008/2009, 2009/2010, 2011/2012) and one gold medal of the Italian Championship (2010/2011) and two Italian Cups (2010, 2012). After four years, Żygadło moved to the Russian League, where he played for Fakel Novy Urengoy for one season, 2012/2013. Then he moved to another Russian club, Zenit Kazan. He signed a 2-year contract and replaced Italian setter Valerio Vermiglio. On October 6, 2013 he was injured during training. He lost season 2013/2014, because of injury. He broke his foot, which is after two surgeries and reconstructions of bone. In the club from Kazan he has been replaced by Serbian setter Nikola Grbić. After two surgeries, bone reconstruction and rehabilitation, Żygadło returned to training in March 2014. After the season 2013/2014 Żygadło left Zenit Kazan. The contract was terminated by mutual agreement of both parties. After two seasons spent in Russia Żygadło accepted an offer from Italian club Trentino Volley. He returned to the club, where he won several titles in 2008-2012. His official return to the club from Trentino was announced on July 10, 2014 and the player stated he was glad about his return to the city and the team. On May 13, 2015 he won title of Italian Champion with Trentino Volley. VC Zenit-Kazan, until 2008 known as Dinamo Tattransgaz Kazan, is a professional men's volleyball team based in Kazan, Russia. It plays in the Super League. The team won the 2007–08, 2011–12, 2014–15, 2015-16, 2016-17, and 2017-18 CEV Champions League titles, thus being the most-titled club in its new history. As of November 2017, Kazan is ranked 1st in the Men's European clubs ranking. Valerio Vermiglio is an Italian volleyball player, who was a member of the Italian men's national team, that won the silver medal at the 2004 Summer Olympics in Athens, Greece. In July 2015 he decided to leave the Italian team and signed a contract with newly founded Iranian club Sarmayeh Bank Tehran. On March 14, 2016 Iranian Volleyball Federation decided that Sarmayeh Bank Tehran achieved title of Iranian Champion because their opponent in finale Paykan Tehran was not able to attend in the third and the decisive game of the final series. Żygadło was one of the notable players in Iranian League that season and one of the best in his position. In 2016-2017 season he went on to win second Iranian Championship with his team. On 6th of July he won for second time Asian Club Championship which were held in Vietnam, received Best Setter Award of the tournament. Sarmayeh Bank Volleyball Club was an Iranian professional volleyball team based in Tehran, Iran. Paykan Tehran Volleyball Club is an Iranian professional volleyball team based in Tehran, Iran. 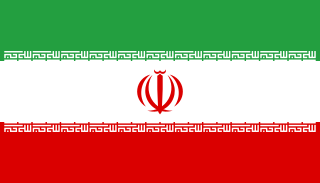 The team is owned by Iran Khodro, an Iranian automobile manufacturer. They compete in the Iranian Volleyball Super League. Paykan VC is the volleyball club of the multisport Paykan Sport Club. He debuted in the Polish national team in 2000, when he was appointed to the matches of the World League, European and World Championships. On December 3, 2006, he won with the national team the silver medal of World Championship 2006 in Japan. On July 5, 2010, he gave up his career in the national team, because of the lack of training and lack of competition for his position in the composition. On March 31, 2011, he returned to the national team after receiving an appointment from coach Andrea Anastasi. In 2011, he won three medals with the Polish national team: silver at World Cup  and two bronzes at World League  and European Championship. He is a gold medalist of World League 2012 in Sofia, Bulgaria. Despite his injury and lack of play in the 2013/2014 season, Polish coach Antiga appointed Żygadło to the national team in summer 2014. PGE Skra Bełchatów SSA is a Polish professional men's volleyball team, based in Bełchatów playing in PlusLiga. PGE Skra won the title of Polish Champion eight times (2004-2011,2014) and Polish Cup six times. Club won a silver and two bronzes of CEV Champions League PGE is ranked 4th in the Men's European clubs ranking. Paweł Zagumny(listen) is a former Polish volleyball player, a member of Poland men's national volleyball team in 1996–2014, a participant of the Olympic Games, 2014 World Champion, 2009 European Champion, a gold medalist of the 2012 World League, silver medalist of the 2006 World Championship and 2011 World Cup, sporting director of ONICO Warszawa since 2017. Matey Kaziyski is a Bulgarian volleyball player, a member of Bulgaria men's national volleyball team during 2003–2012 and Japanese club JTEKT Stings, a participant of the Olympic Games Beijing 2008, bronze medalist of the World Championship 2006, World Cup 2007 and European Championship 2009. He is a multiple winner of the CEV Champions League and FIVB Volleyball Men's Club World Championship with the Italian club Trentino Volley. Piotr Łukasz Gruszka is a former Polish volleyball player, a member of Poland men's national volleyball team in 1995–2011, a participant of the Olympic Games, European Champion 2009, silver medalist of the World Championship 2006, bronze medalist of the World League 2011 and the European Championship 2011, five-time Polish Champion, head coach of GKS Katowice and coach assistant of Poland men's national volleyball team. Michał Winiarski is a former Polish volleyball player, a member of Poland men's national volleyball team from 2004-2014, a participant of the Olympic Games, 2014 World Champion, a gold medalist of the 2012 World League, silver medalist of the 2006 World Championship and 2011 World Cup, three-time Polish Champion and 2008 Italian Champion. He is assistant coach of Polish club PGE Skra Bełchatów. Krzysztof Ignaczak is a former Polish volleyball player, a member of Poland men's national volleyball team in 1998-2014, a participant of the Olympic Games, 2014 World Champion, 2009 European Champion, a gold medalist of the 2012 World League, silver medalist of the 2011 World Cup, six-time Polish Champion, 2017 English Champion. Michał Bogusław Bąkiewicz is a former Polish volleyball player, a member of Poland men's national volleyball team in 2001-2011, a participant in the Olympic Games 2004, 2009 European Champion, a silver medalist of the 2006 World Championship, a four-time Polish Champion. Radostin Svetoslavov Stoychev is a former Bulgarian volleyball player and head coach. Paweł Mateusz Woicki is a Polish volleyball player, a member of Poland men's national volleyball team and Polish club Indykpol AZS Olsztyn, a participant of the Olympic Games Beijing 2008, European Champion 2009, bronze medalist of the World League 2011, Polish Champion (2011). Osmany Juantorena Portuondo is a Cuban-born Italian volleyball player, a member of Cuba national volleyball team in 2003–2006 and current member of Italy national volleyball team and Italian club Cucine Lube Civitanova. Juantorena was bronze medalist of the 2005 World League and silver medalist 2016 Summer Olympics. He is a multiple winner of the CEV Champions League and FIVB Club World Championship with the Italian club Trentino Volley. Juantorena is the record owner of the highest number of Most Valuable Player awards at FIVB Club World Championship, with 4 times. Piotr Nowakowski is a Polish volleyball player, a member of Poland men's national volleyball team and Polish club Trefl Gdańsk, a participant of the Olympic Games, 2014 World Champion, 2018 World Champion, 2009 European Champion and gold medalist of the 2012 World League, silver medalist of the 2011 World Cup, a bronze medalist of the 2011 European Championship and 2011 World League, three-time Polish Champion. Michał Kubiak is a Polish volleyball player, a member of Polish national team and Japanese club Panasonic Panthers, a participant of the Olympic Games, 2014 and 2018 World Champion, a gold medalist of the 2012 World League, silver medalist of the 2011 World Cup, bronze medalist of the 2011 European Championship and the 2011 World League. Fabian Drzyzga is a Polish volleyball player, a member of Poland men's national volleyball team and Russian club Lokomotiv Novosibirsk, a participant of the Olympic Games, 2014 World Champion, 2018 World Champion, a bronze medalist of the 2011 European Championship, Polish Champion (2015). Milad Ebadipour Gharahassanlou is an Iranian volleyball player, a member of Iran men's national volleyball team and Polish club PGE Skra Bełchatów, Polish Champion (2018). The 2011–12 PlusLiga - is the 76th season of the Polish Championship organized by the Professional Volleyball League SA under the supervision of Polish Volleyball Federation. Jan Štokr is a Czech volleyball player (opposite), a member of Czech Republic men's national volleyball team and Czech club VK Dukla Liberec. He is a multiple winner of the Club World Championship with the Italian club Diatec Trentino. Raphael Vieira de Oliveira is a Brazilian volleyball player, a member of Brazil men's national volleyball team and Brazilian club Funvic Taubaté, a silver medalist of the 2014 World Championship, South American Champion. ZAKSA Kędzierzyn-Koźle 2017–2018 season is the 2017/2018 volleyball season for Polish professional volleyball club ZAKSA Kędzierzyn-Koźle. Wikimedia Commons has media related to Łukasz Żygadło .